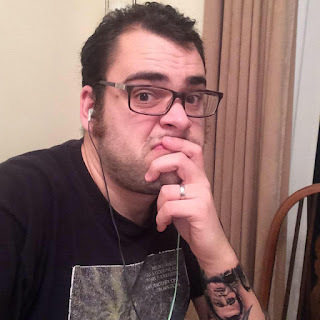 Designed by Michael Gernes and Sam Stewart, expanding upon the Star Wars: Armada system originally designed by James Kniffen and Christian T. Petersen. 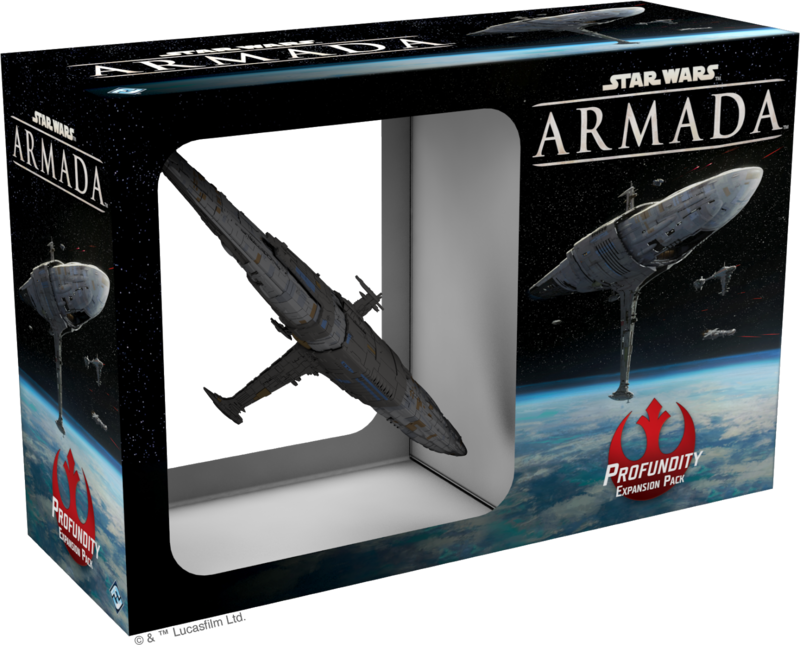 The Profundity is a long overdue addition to the Armada roster, considering its prominent role in the Battle of Scarif (as seen at the climax of Rogue One), and now it’s here, and...it doesn’t offer anything groundbreaking, but it’s still a welcome addition. The modified MC75 is capable of chucking out some serious short range firepower, and with nine hull points, it’s not that far off of being able to face up to an Imperial Star Destroyer. The model itself is excellent, with plenty of detail and some nice wash and weathering work, really making it “pop” on the table. It’s also really big. Not as wide as an ISD, but easily as long. There’s some most welcome additions in terms of characters throw in here, as well. 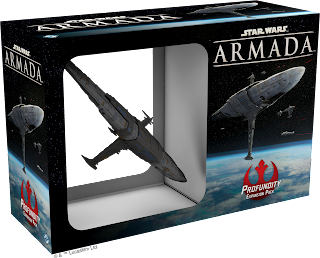 Admiral Raddus allows you to keep one ship in reserve, to be brought onto the tabletop at the start of any later turn. Bail Organa’s ability is intriguing, offering different power-ups depending on if you’re the first or second player, which could throw in some interesting bluffing tactics during fleet construction. 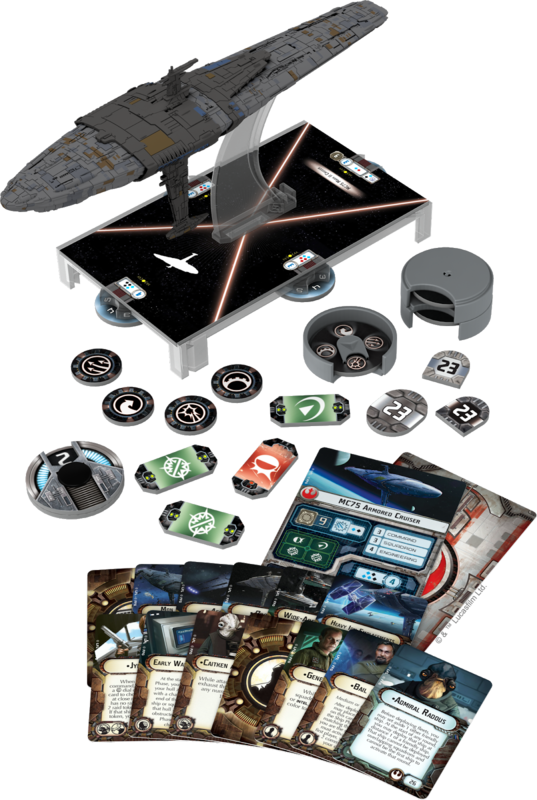 Also, and perhaps rather unusually, we have Jyn Erso, who’s capable of filling an enemy ship with the new “Raid” tokens (see the review of the Chimaera for details on these), which could throw a serious spanner in the works for the Imperial player. Rebel players will want to add the Profundity to their collection, and players who particularly enjoy fleet building will enjoy the new strategies and upgrades that are now on offer. More casual players may want to give this one a miss however, as while there’s plenty to recommend, there’s nothing to deem it essential.